A kind of a historical assignment. 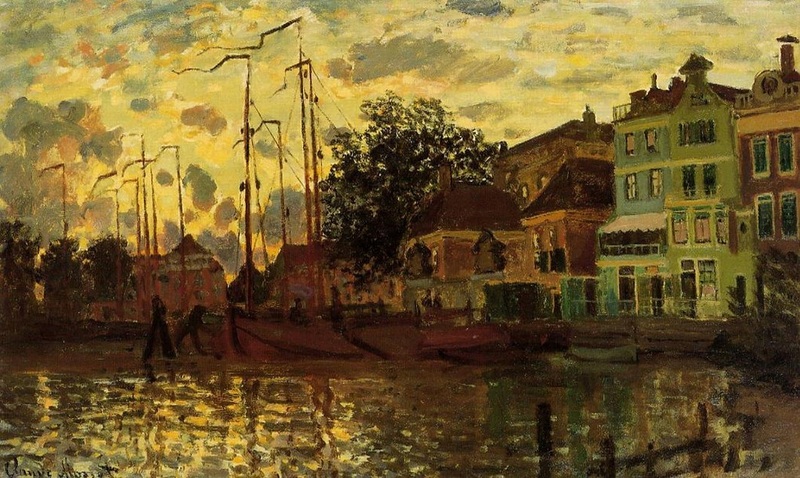 The future owner wants a painting of a boat previously owned by his ancestors and a clear view of the scenery. 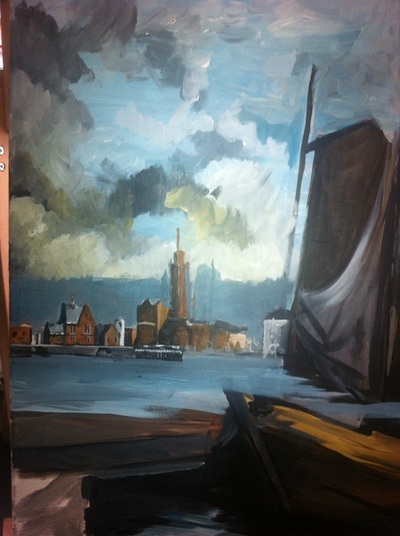 The boat is lost now and might be found on the bottom of the Zaan. I received a picture of that old boat. 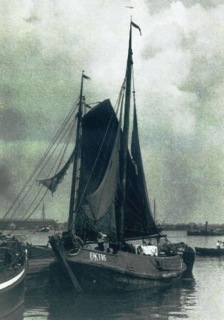 Known as the UK116. The background in the picture is blurry and unknown. 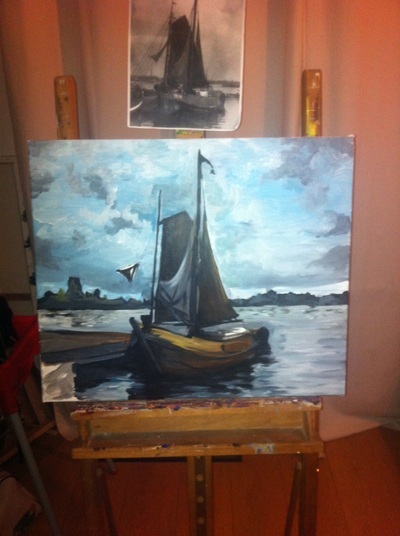 I was challenge to find out where the boat was at the moment the picture was taken. 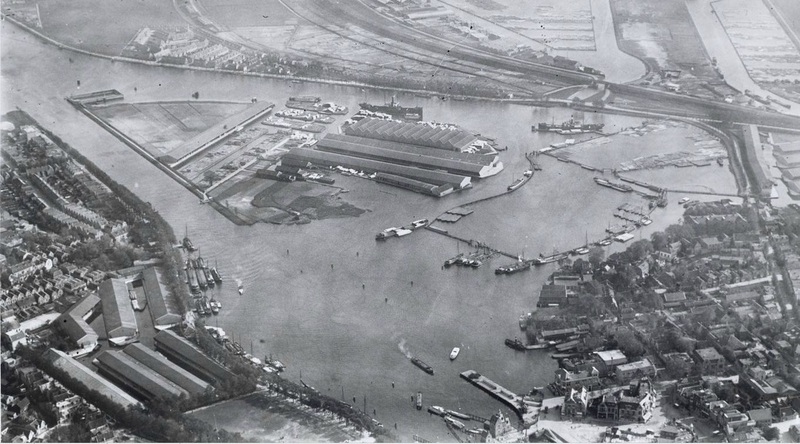 Around 1920, most likely nearby Zaandam. 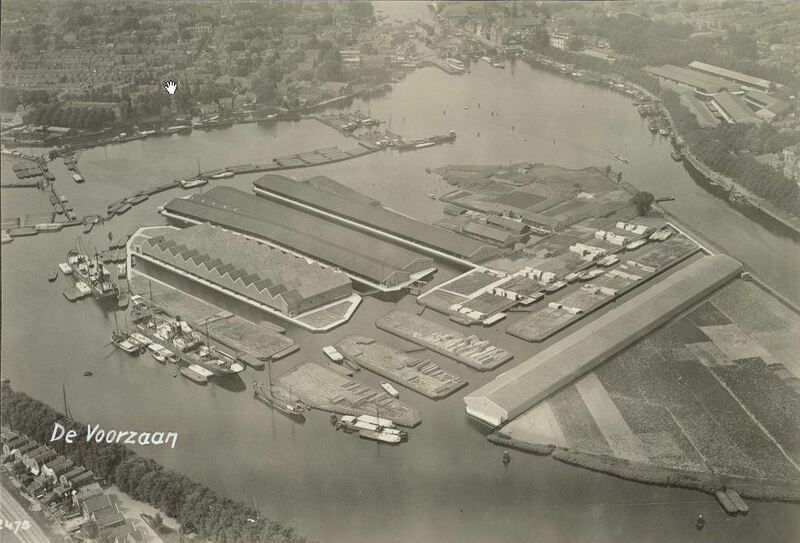 See below Zaandam around 1920. And look at all the barracks you also find in the background of the picture. But the angle is all wrong! After hours and hours of research we recently came to the conclusion that the background will always be a mystery. 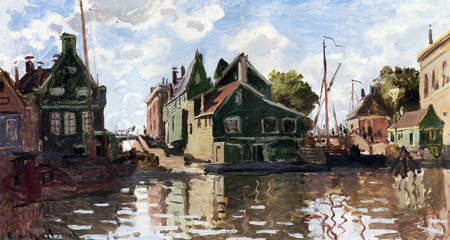 We pretend it is Zaandam and the Zaan. 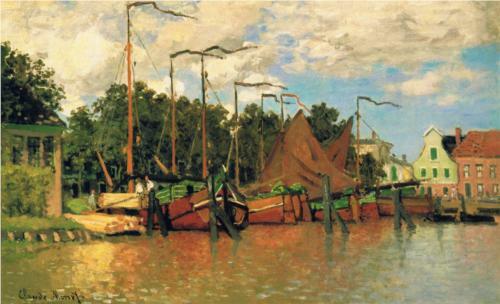 Thank God, Monet visited Zaandam earlier in 1871 so there is great material to be found of the Zaanstreek. And a great inspiration too. 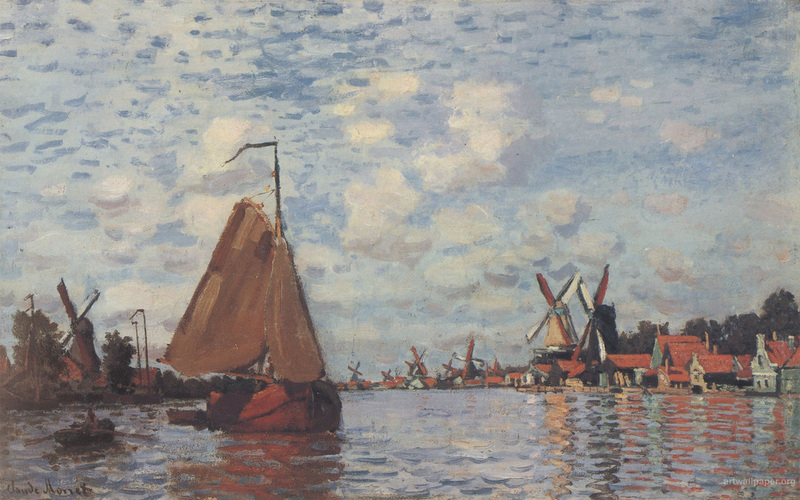 So, inspired by Monet I'm off to work!